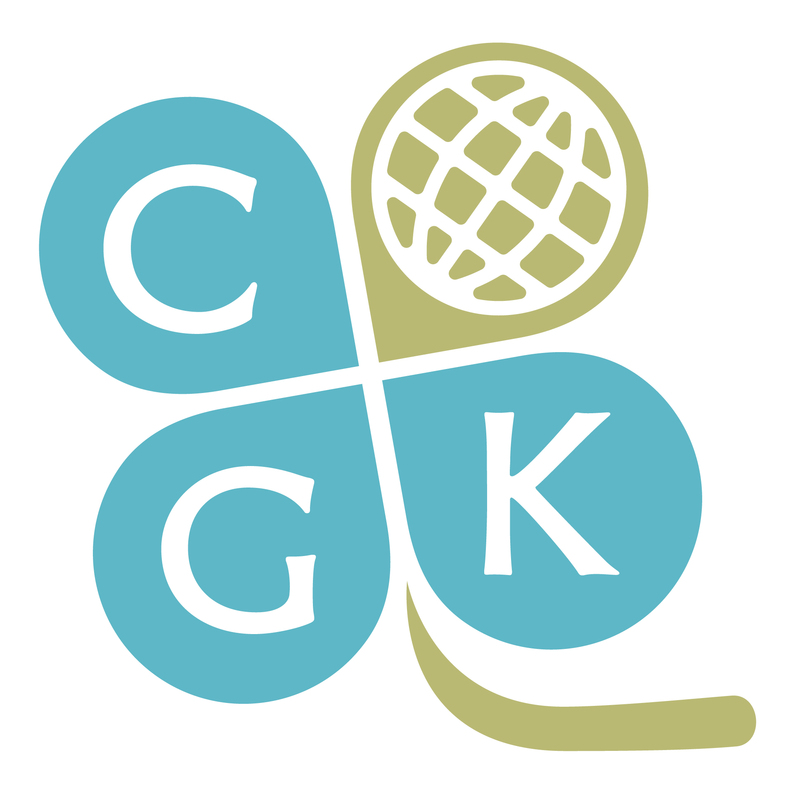 We ended our first month of the new school year with CGK’s second Easter Egg Hunt! Part of becoming a Global Kid means gaining exposure to foreign ideas and customs. Perhaps one of the most fun things about learning about new places and things is learning about the way people celebrate! Of course, Easter is no exception. 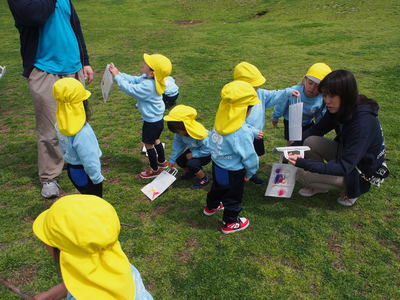 While Easter is not a big holiday in Japan, it is very popular in many countries overseas. Almost every store will be covered in spring emblems, like bunnies and flowers and Easter eggs! 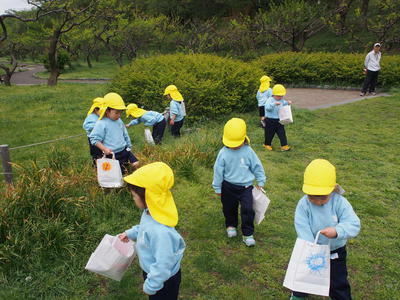 In addition, Easter Egg Hunts are very, very popular. Children love to go to parks and big social gatherings and look for brightly colored eggs together. Sometimes there are even special surprises inside, like candy or stickers! Because it is such a popular holiday, we decided to share it with our new friends and level-up our knowledge and egg-hunting skills with our friends who tried it last year. Once we had the English we needed, we moved on to Easter concepts. Besides eggs, the Easter Bunny is a central figure for celebrating Easter with children. After reading some Easter stories, we decided to become bunnies ourselves by learning to “Hop like a Bunny” with the Mother Goose Club. The kids loved bouncing around and pretending to hop like bunnies. We even got to try as a big group with all of our Ocean and Jungle friends together. Everyone was giggling and smiling! 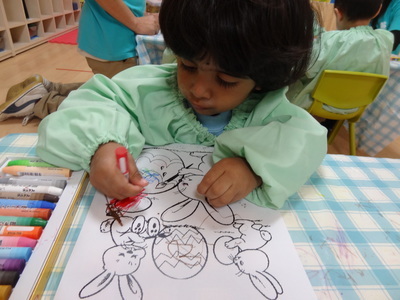 In addition, we also colored some Easter Bunnies and Easter baskets, and we even designed our own Easter eggs! But the highlight was definitely all the Easter egg hunts we got to try. We did a few “practice” hunts at the school. The first few times, the kids looked for eggs in the classroom, but it was too easy! So the second time we moved to a separate room that was less familiar. This room provided more of a challenge, but even still our kids were expert egg-hunters! It seemed like a breeze for them. So, there was only one thing left to do….a really, really big Easter Egg hunt! Our big Easter Egg Hunt was held in Shinrin Park. We divided up our two classes. The jungle kids hunted first and had a blast trying to find as many eggs as they could! 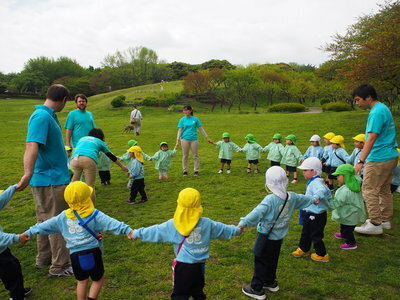 Meanwhile, our ocean friends explored the park and played games with their teachers. 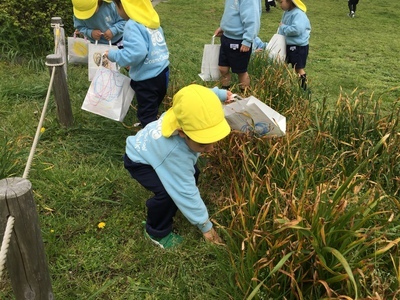 When the Explorers (jungle friends) found all their eggs, they counted them up and then enjoyed hiding the eggs for the Sailors (Ocean friends)! They did a great job hiding the eggs around the reserved area and seemed to have a lot of fun hiding the eggs themselves. 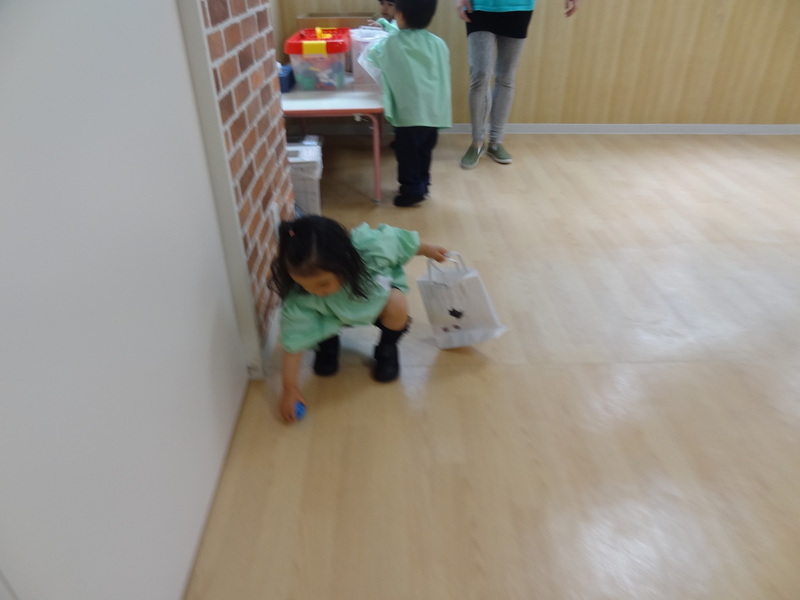 Then they went with their teachers to play games while the Ocean class came to try their hand at egg-hunting. 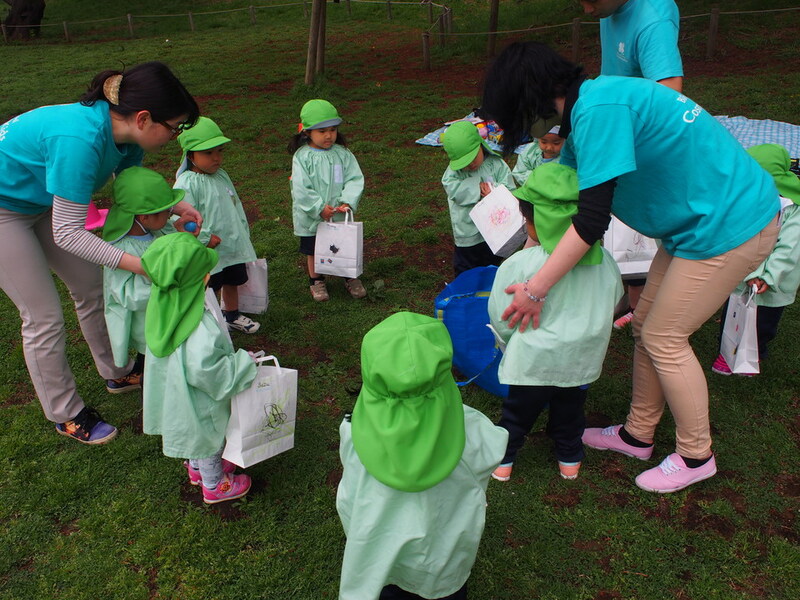 In the end, everyone had a great time and found every last egg! We ended the adventure by making a big circle, singing some songs, and wishing each other a “Happy Easter!” Then we headed back to CGK for a well-deserved lunch and rest. 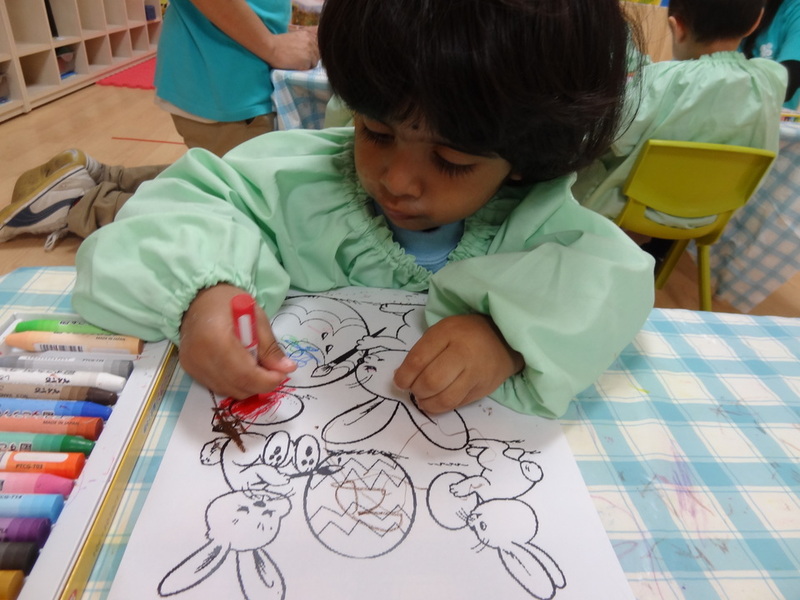 We were very happy to see everyone having so much fun, and even more impressed by our kids’ reception to Easter and their wonderful use of English! We are only one month into the new school year, but we are already impressed with how global our kids are already becoming. Happy Easter, everyone!